Dissatisfied with your smile? 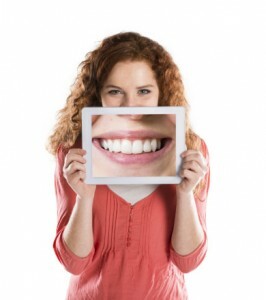 Good dental health is an asset, but dental aesthetics affect self-confidence and public image. A stunning smile makeover is as close as Complete Cosmetic Care Dentistry in Glenpool, OK. Sapulpa cosmetic dentists Dalia Georgy DDS and Parnam Mohanna DDS have perfected the art and science of healthy teeth and gums that look great, too. The Complete Cosmetic Care Dentistry team delivers exactly what a patient needs for a refreshed, youthful look. From simple, but effective teeth whitening to E4D same-day crowns, teeth and gums change for the better after a Tulsa smile makeover consultation with Doctors Georgy and Mohanna. The team at Complete Cosmetic Care Dentistry sits down with each patient desiring a smile makeover.Together, patient and dentist determine what services fit budget, lifestyle and smile goals. Treatment plans may include just one service or a combination of procedures. These popular services produce lasting color-change results for up to 8 shades. Sapphire teeth whitening, combined with the innovative Plasma Arc light, is available in-office for quickest results, or the patient can use customized whitening trays as an at-home option. Both apply a professional grade bleaching gel which lifts out enamel stains from food, smoking, beverages, prescription medications and simple aging. With touch-ups, faithful brushing and professional cleanings, teeth whitening brightens smiles indefinitely. Composite resin bonding uses a material made of glass and acrylic to fill in small gaps, chips, cracks and minor problems with alignment. Not as stain-resistant as other cosmetic treatments, bonding is economical, takes just one appointment and beautifies and strengthens. Your Tulsa smile makeover may feature porcelain veneers, customized shells of translucent, biocompatible ceramic that cover dull, discolored, worn or chipped teeth for a straight, sparkling smile. While not appropriate for teeth with decay or extensive restorations, porcelain veneers bond to and strengthen healthy tooth enamel in an irreversible improvement that lasts indefinitely with proper hygiene. When tooth appearance and function is compromised by extensive decay, root canal therapy or injury, your Sapulpa cosmetic dentist can restore it in one day with a modern E4D crown. Using CAD/CAM technology, Dr. Georgy or Mohanna will prepare your tooth, scan it and design a life-like crown. They actually mill the restoration from a solid block of porcelain, fitting it and bonding it in place for a new tooth that lasts a decade or more. Gone are messy impressions and unsightly temporaries! Older teens and adults want straight smiles with no overlapping or gaps. However, the prospect of wearing traditional wire and metal bracket braces is overwhelming. To avoid the embarrassment, discomfort and hygiene and diet problems associated with braces, Complete Cosmetic Care Dentistry offers Invisalign clear aligners made of BPA-free, stain-resistant plastic. Customized according to treatment plan, Invisalign aligners move teeth into more favorable positions in an average 12-month treatment time. Removable for hygiene and special occasions.the aligners are virtually undetectable and very effective. Why not look into a smile makeover? Doctors Georgy and Mohanna are experts in dramatic smile changes. ContacttheGlenpool, OKofficetoday to get started.